Donald W. Fowler and Robert E. Johnston selected Best in Pharmaceutical Products Liability Litigation-Washington, DC. Volvo tells Supreme Court that EPA's $62M engine fine broke the rules. Firm partner Donald W. Fowler publishes article on Clean Air Act preemption of state nuisance claims. Court dismissed $4B claim brought by the State of New Mexico against Firm client General Electric. Louisiana court grants summary judgment for SABIC Petrochemicals “from the bench” following oral argument. In Aredia®/Zometa® litigation, Florida federal court limits plainitff's duty-to-warn case. Another summary judgment for Novartis shortly before trial. Novartis wins motion to apply New Jersey punitive damages law in Florida federal Zometa® case. U.S. District Court for the Western District of Arkansas dismisses Aredia® case on the eve of trial, granting judgment in favor of Novartis Pharmaceuticals Corporation. Partners Don Fowler and Frank Leone speak at Natural Resource Damages Conference July 16-17, 2015 in Santa Fe. Donald W. Fowler specializes in federal and state trials and appeals in the areas of environmental law, toxic torts and pharmaceutical products liability. His practice also emphasizes litigation against the federal government, and he is experienced in environmental insurance coverage litigation. In 2017, Mr. Fowler was selected as Environmental Lawyer of the Year by Corporate Livewire M&A Awards. In 2015, he was selected by Corporate America's Legal Elite Awards for "Best in Product Liability Litigation-Washington, DC." Mr. Fowler represents major manufacturing concerns and site owners in trials and appeals of class actions and mass torts involving personal injury, property damage, and/or medical monitoring damage claims associated with alleged exposures to ionizing radiation and various chemical compounds, including solvents and benzene derivatives. He also represents a major pharmaceutical manufacturer in the national defense of personal injury claims associated with oncological drugs, migraine treatments, and anti-cholesterols. He has successfully defended such cases whether filed individually, as part of a mass tort, or as a class action. Mr. Fowler’s environmental practice includes representation of major corporations in defense of both actual and anticipated litigation brought by federal and state natural resource trustees seeking recovery for damages to natural resources under federal and state law. 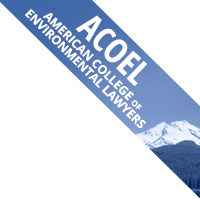 He also represents companies in litigation and before the Environmental Protection Agency in matters arising under the Resource Conservation and Recovery Act and Superfund, including private cost recovery actions. He has designed and implemented compliance programs, conducted environmental audits and due diligence reviews, and negotiated environmental aspects of real estate and other transactions on behalf of many of our corporate clients. He frequently authors amicus curiae briefs on behalf of our toxics and pharmaceutical clients, and he lectures at private and public seminars on developments in these fields. Mr. Fowler is named in the 2019 edition of Best Lawyers for Environmental Law and Litigation-Environmental, in the 2018 Washington, DC edition of Super Lawyers, and in Who's Who Legal: Environment 2018. 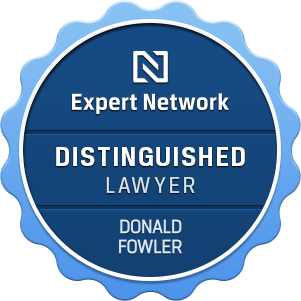 Mr. Fowler is recognized as a "Distinguished Lawyer" by The Expert Network. In 2015, he received the Burton Distinguished Legal Writing Award for his article "Federal Clean Air Act Preemption of Public Nuisance Claims: The Case for Supreme Court Resolution." Following law school, Mr. Fowler joined the Land and Natural Resources Division of the Department of Justice, where he spent three years as a trial attorney conducting environmental litigation before the federal appellate and trial courts. Before joining the Firm, he also served as Deputy Assistant Administrator of the Commerce Department’s National Oceanic and Atmospheric Administration.